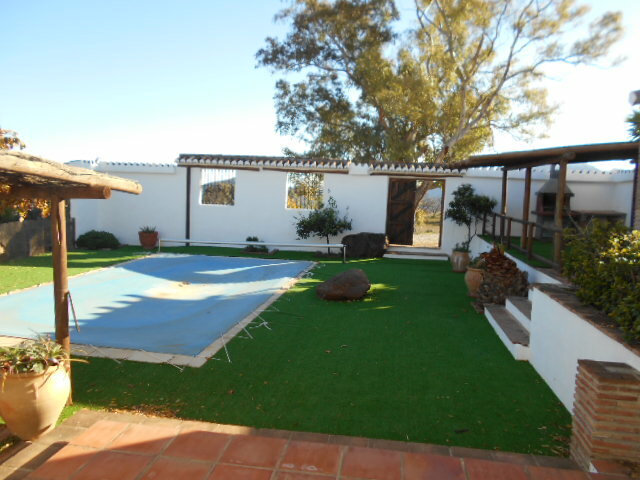 A large, immaculate, country property comprising of 3 separate bungalows, pool, garage and 23,342m2 almost flat plot. 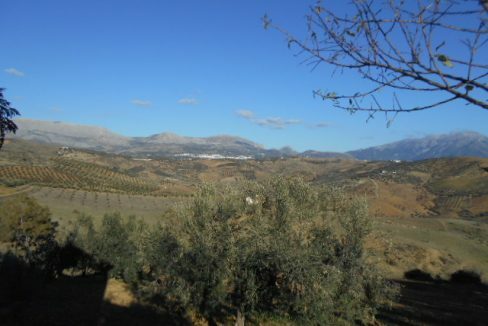 Approach to the property is via a 3km dirt track which is perfect in summer but can get a little bumpy in winter. 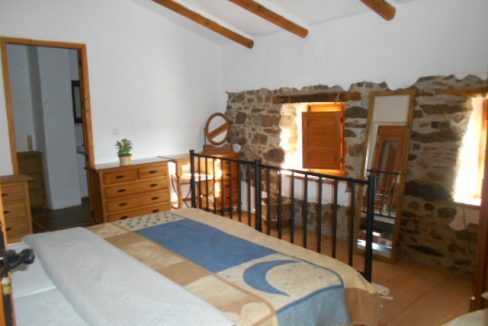 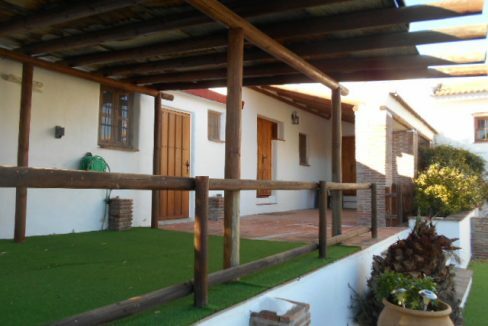 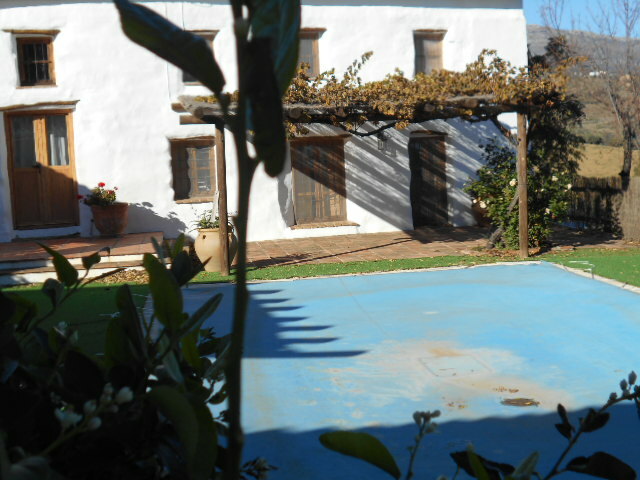 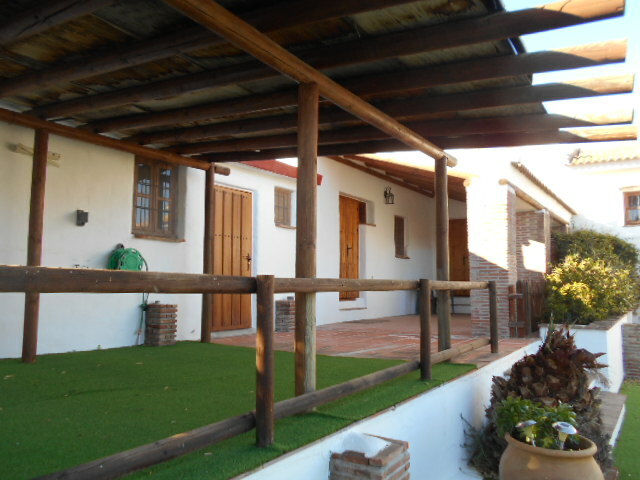 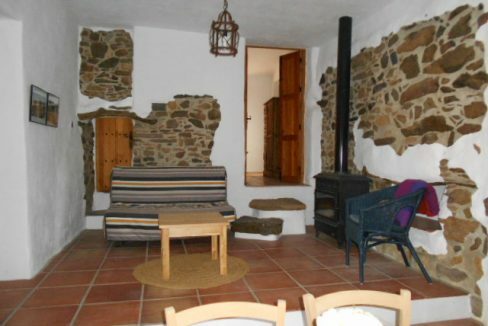 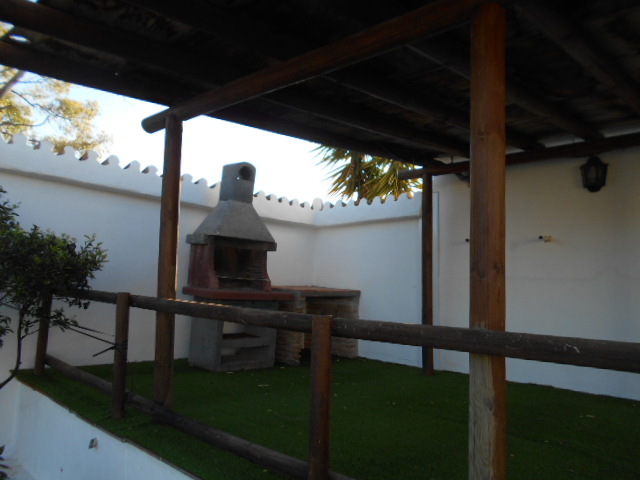 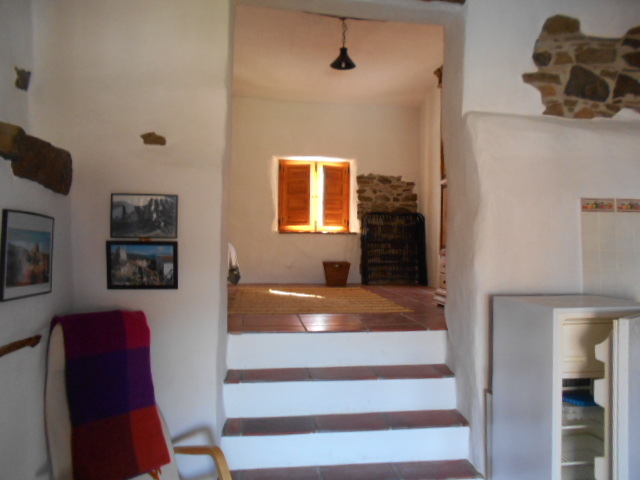 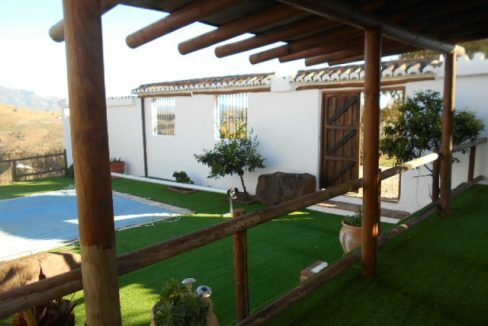 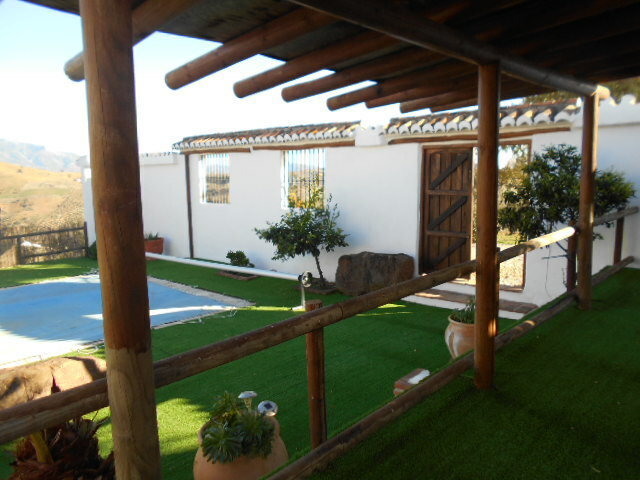 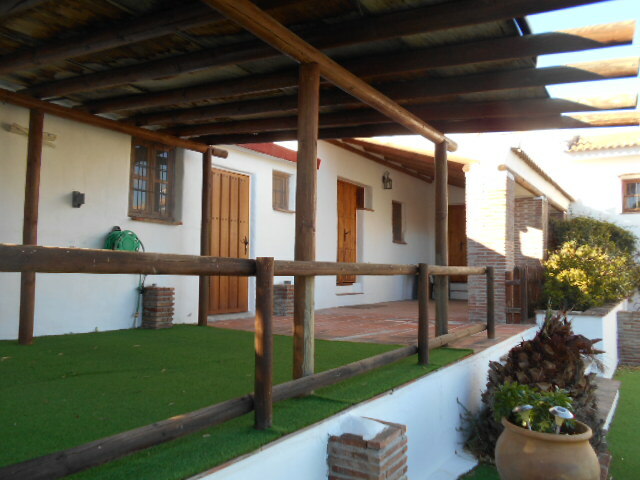 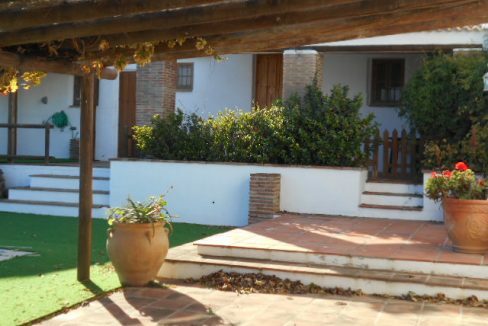 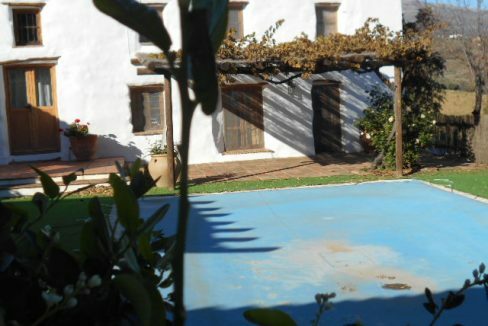 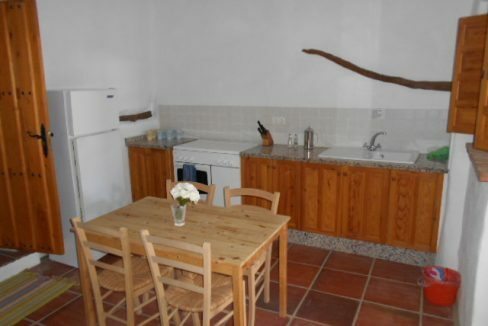 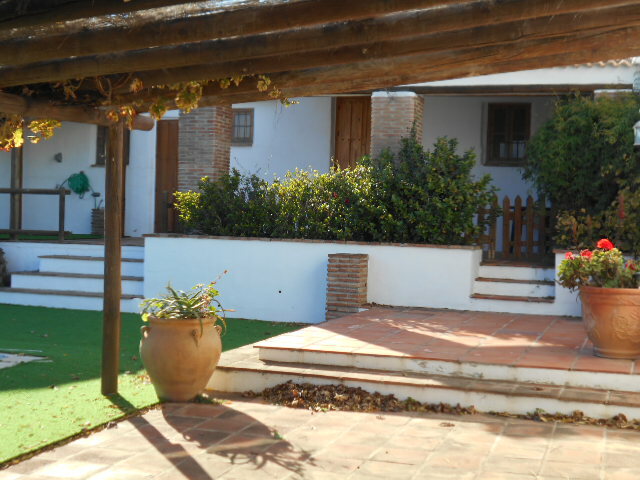 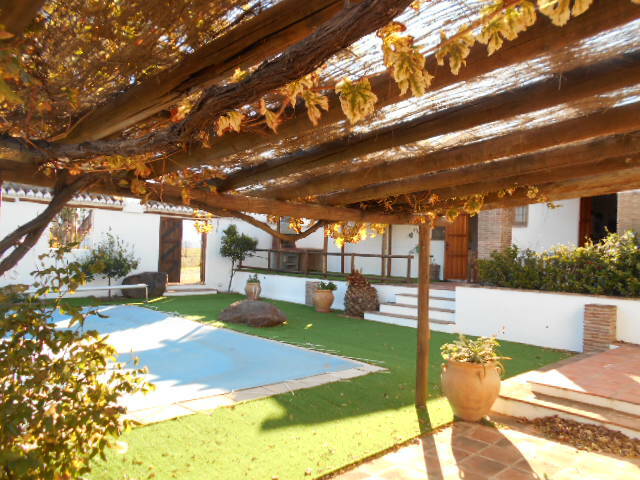 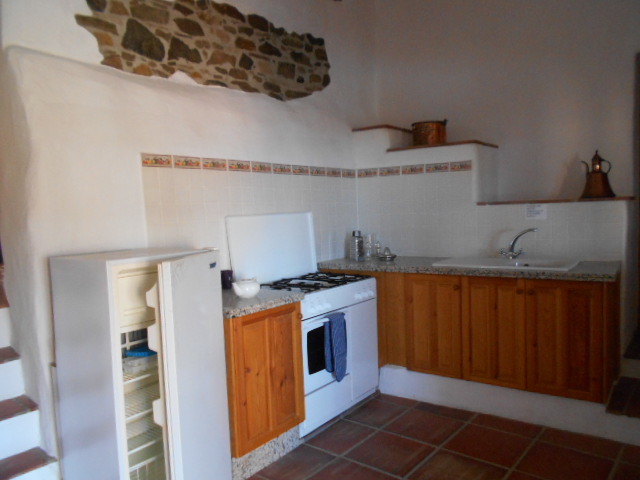 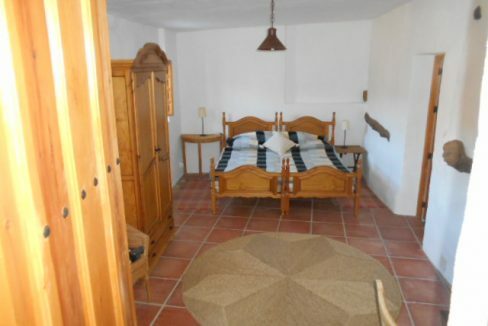 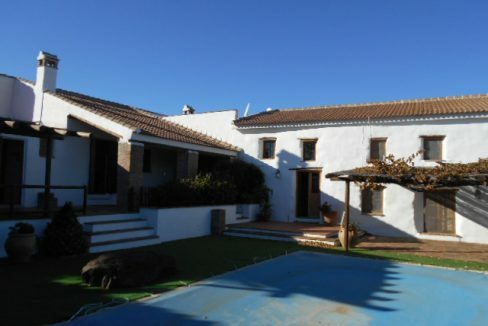 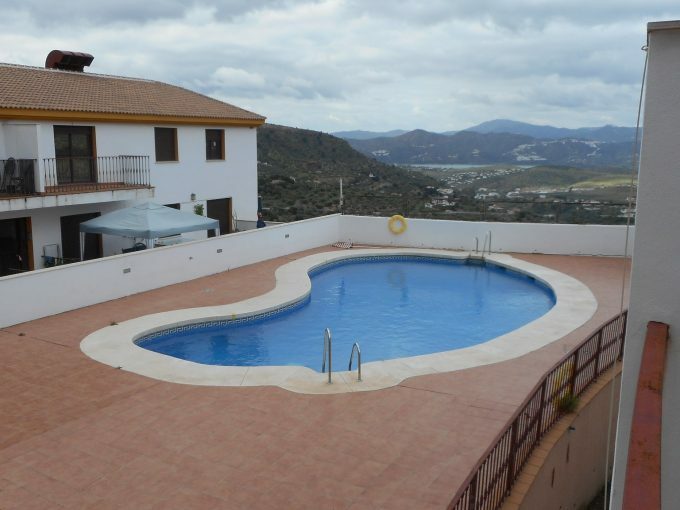 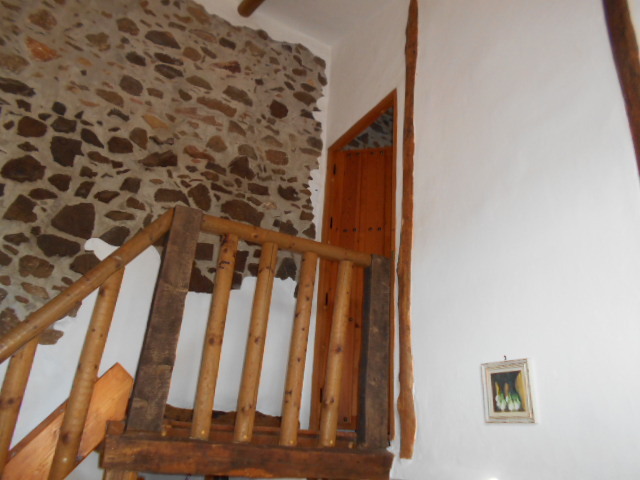 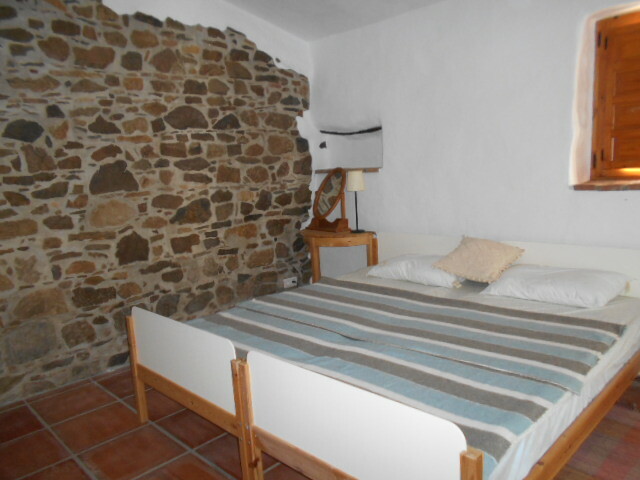 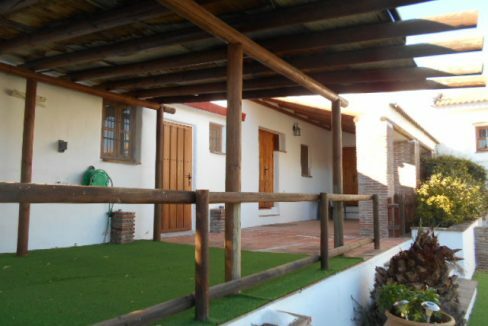 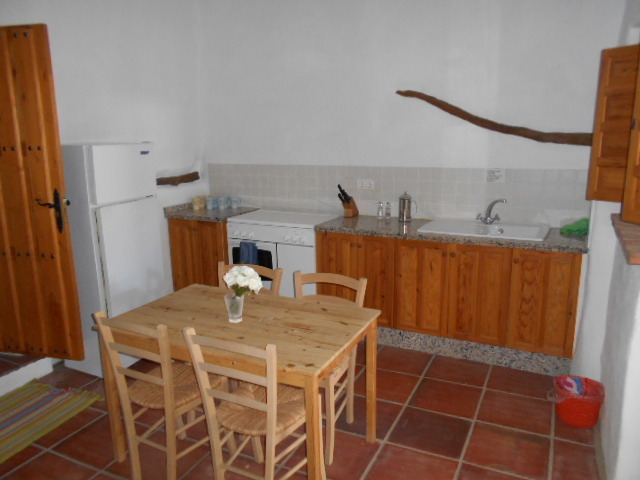 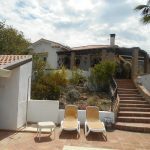 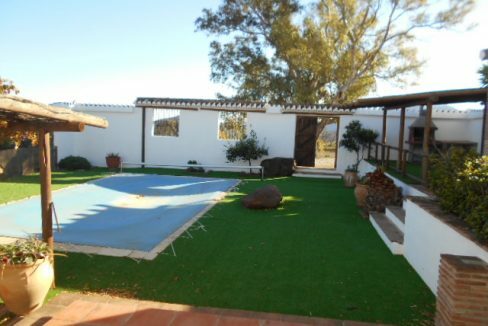 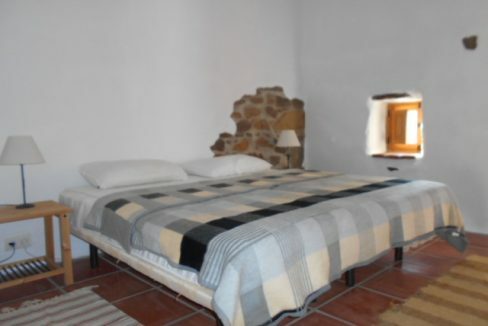 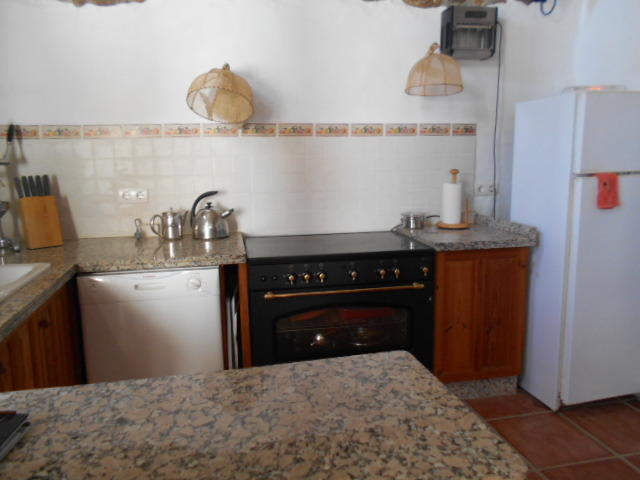 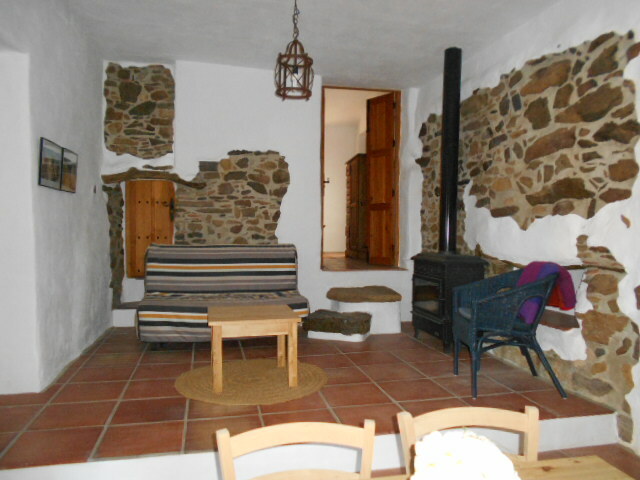 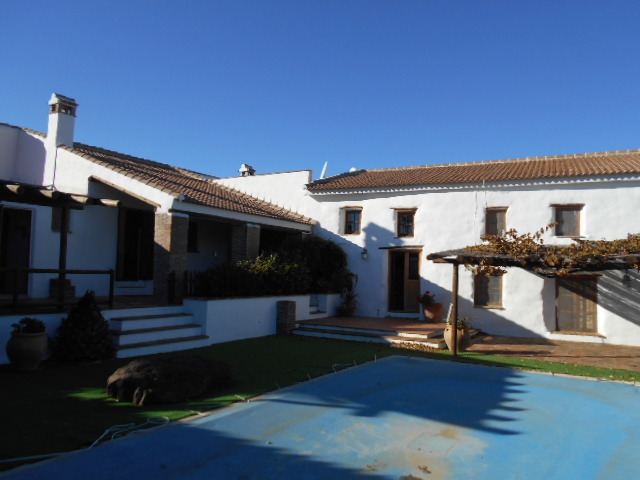 The property is very secluded and private yet only 10 -15 minutes to the centre of Riogordo with all amenities. 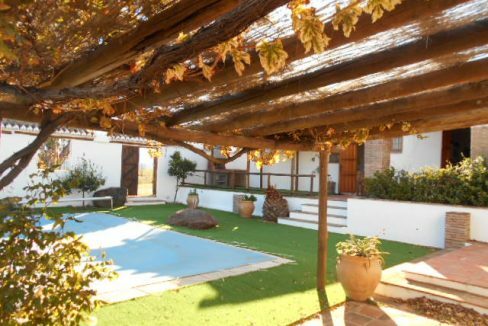 Enter in to a high walled central courtyard with 2 covered terraces and a grape covered terrace, BBQ area, 8×4 pool and the area around the pool has synthetic grass. 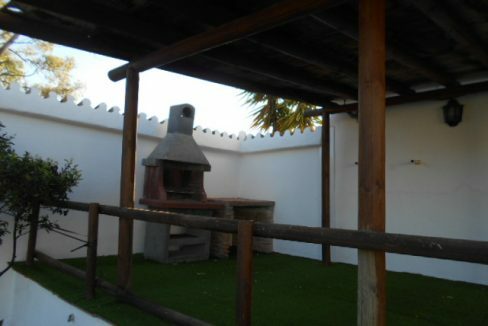 Facing the building and starting from the BBQ area we have the utility room of 15m2, also housing a W/C, pump room and door to the Garage of 22.4m2 (with direct access outside). 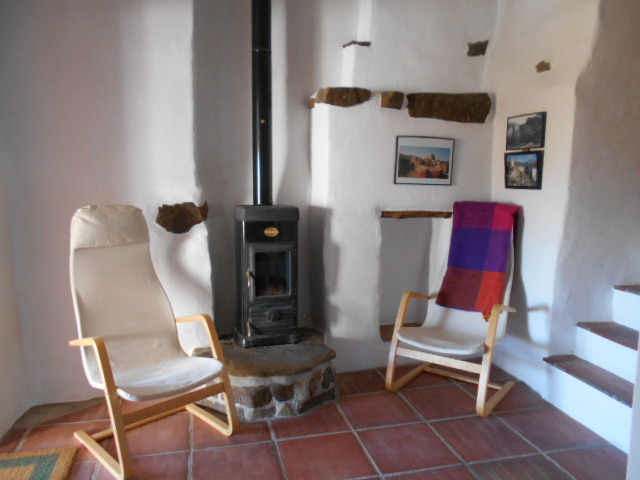 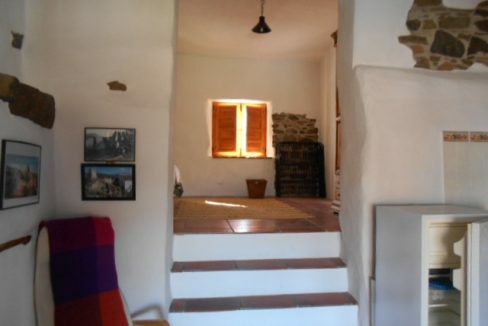 The property is divided into 3 beautiful units, all with original features and ceiling beams. 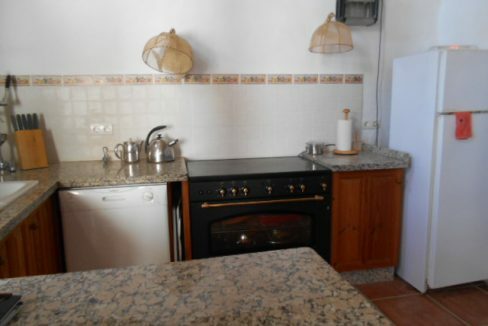 Unit A comprises of a fully fitted kitchen with range gas cooker, dishwasher, breakfast bar and stairs to bedroom 1 with private roof terrace and ensuite bathroom. 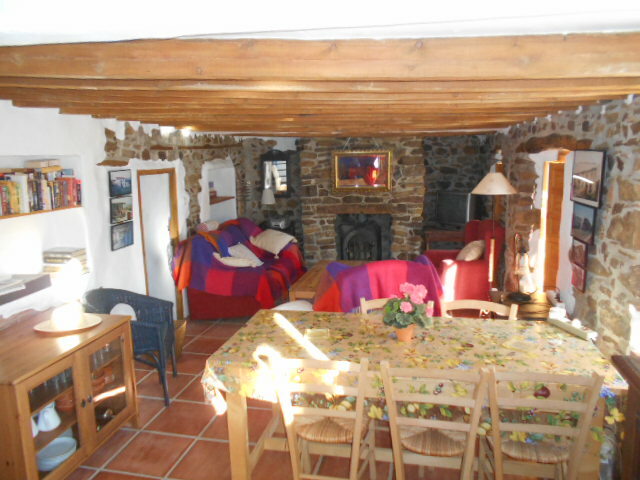 The kitchen is open plan to the dining area and lounge with wood burner and 2 wooden patio doors to the covered terrace. 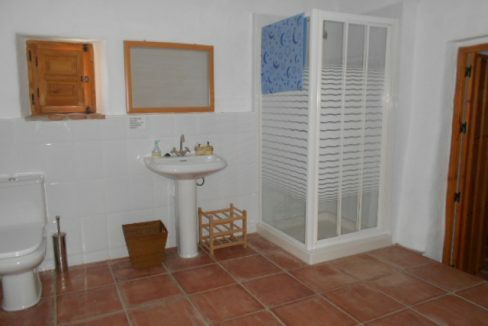 From the dining area is a door to bedroom 2 and a family shower room. 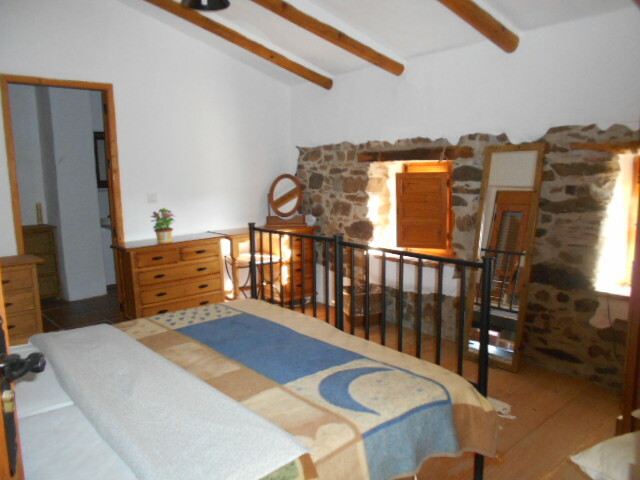 From the lounge is bedroom 3. 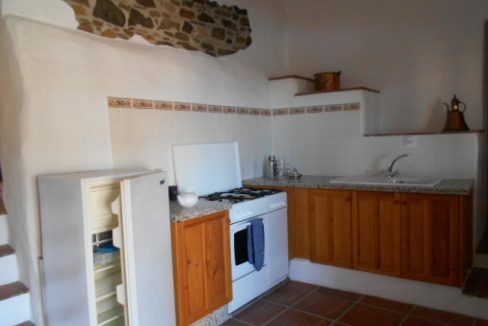 Unit B comprises open plan lounge with wood burner, door to Unit C and door to bedroom 2, fully fitted kitchen with gas cooker, (rooms divided by 2 steps ) door to bedroom 1 which has 3 steps to the Jack and Jill family shower room, leading to bedroom 2 and door to the lounge so the whole unit flows very nicely. 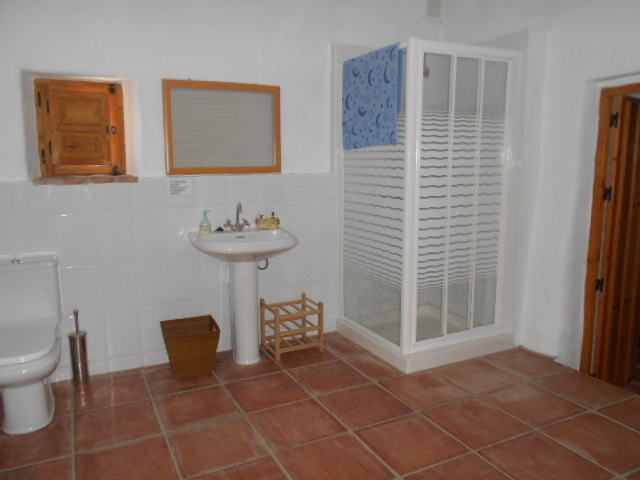 Unit C comprises open plan lounge with wood burner to fully fitted kitchen with gas cooker and door to Unit B, up 4 steps from the lounge to bedroom and ensuite shower room with heated towel rail. 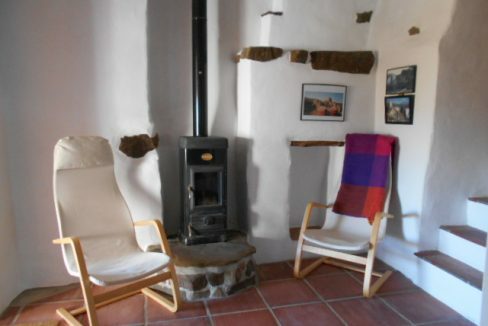 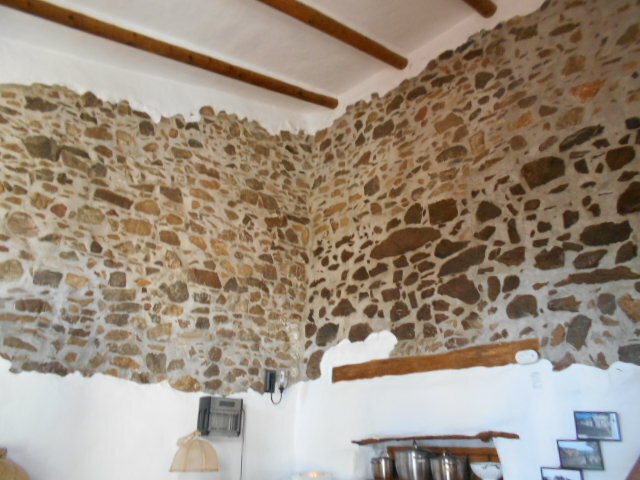 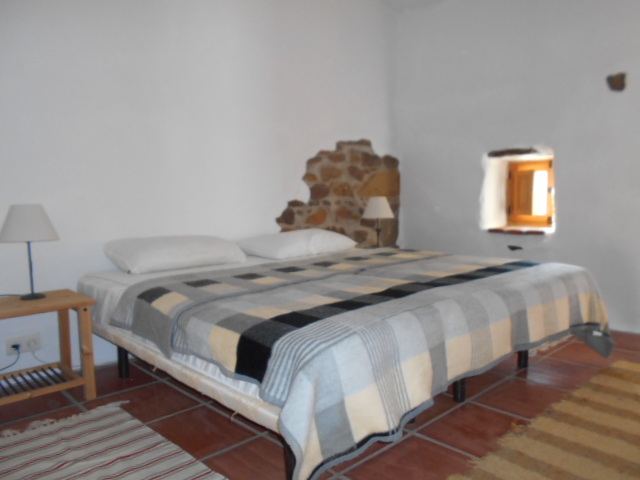 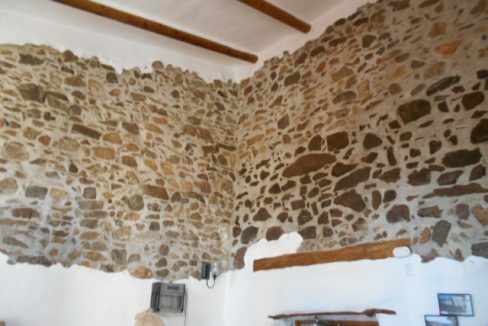 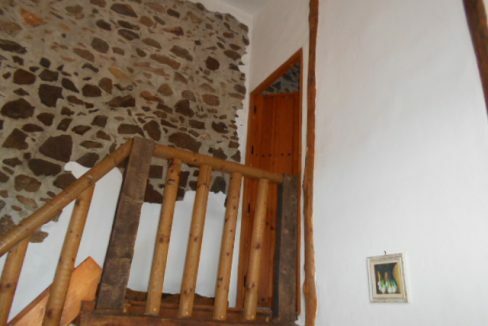 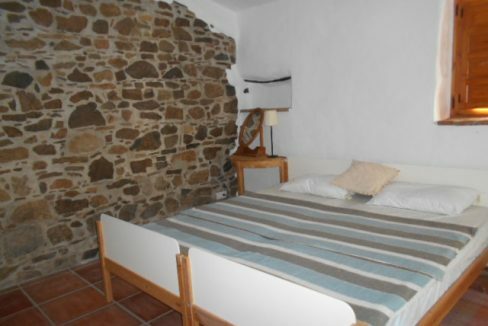 This property was renovated approximately 18 years ago but the original building dates back to the 1900´s and the owners when renovating did a very good job at keeping the original feel as much as possible. 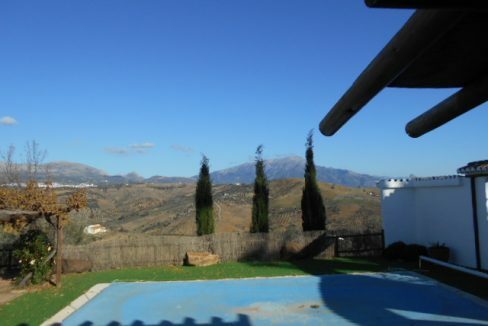 New features include Mains water, 8,000L of water deposits, wooden beams throughout, rejas, wood storage, security cameras, solar electricity with generator back up, insects screens and amazing 360 degree mountain and countryside views. 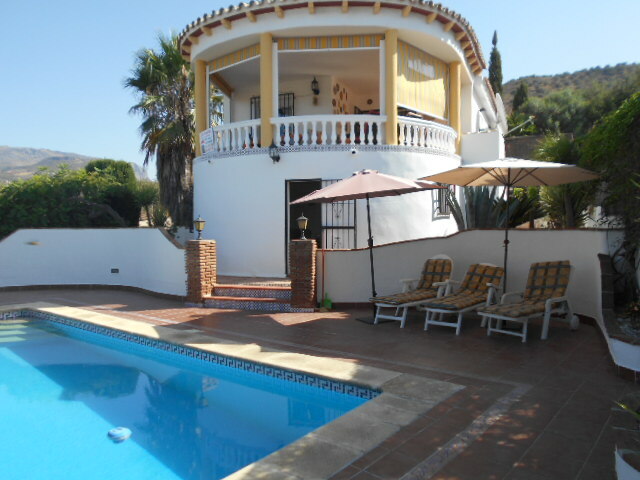 This property is approximately 40 minutes to the coast and 20 minutes to the motorway. 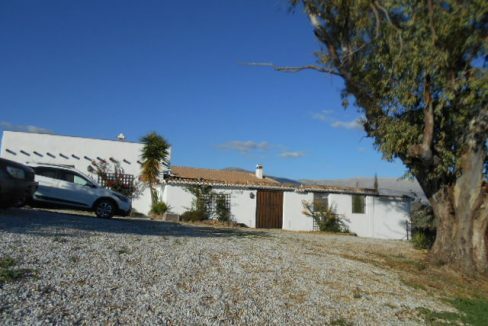 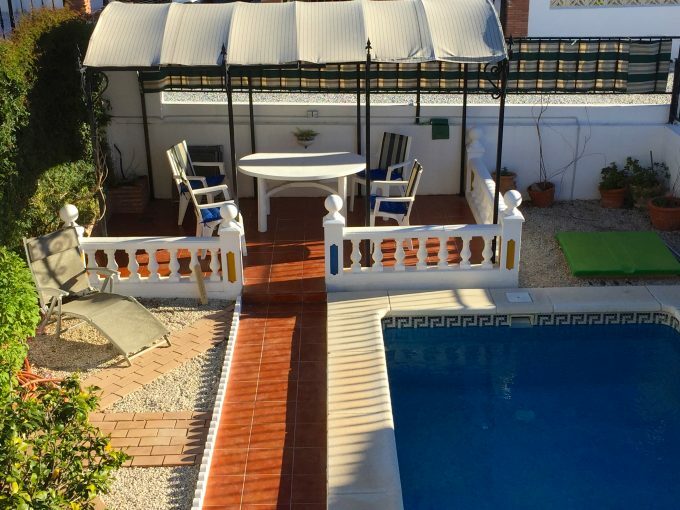 A beautiful family home with amazing views, or you may like the idea of renting out 2 of the 3 bungalows for holiday rental purposes if the necessary licenses are obtained.